This is an expanded version. of storytelling within the Franciscan tradition. 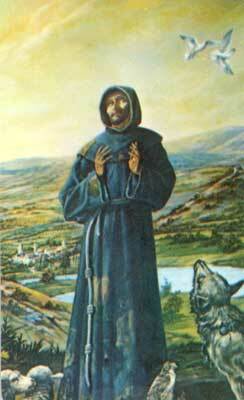 Let us begin with St Francis. About those who minister the Word of God, St. Francis said: ‘The preacher must first secretly draw in by prayer what he later pours out in sacred preaching; he must first of all grow warm on the inside or he will speak frozen words on the outside.’1 This is enlightened advice, as well, for catechists, religious education teachers and others who have the opportunity to minister the Word of God. That is, before speaking, teaching or preaching one needs to set aside adequate time for prayer to draw in deeply God’s inspiration and listen to the Word. ‘Francis,’ [Christ] said, ‘Say this to the pope: "Once upon a time there was a poor but lovely woman who lived in a desert. A king fell in love with her because of her great beauty; he gladly betrothed her and with her had lovely children. When they had grown up, having been nobly raised, their mother said: ‘Dear children, do not be ashamed because you are poor, for you are all children of a great king. Go joyfully to his court and ask for what you need.’…They presented themselves boldly to the king: they were not afraid to look at him since they bore his very image. When the king saw his likeness in them, he was surprised, and asked whose sons they might be. When they said they were the children of the poor woman who lived in the desert, the king embraced them. ‘You are my heirs,’ he said, ‘and my sons; have no fear!’…The king then sent orders to the woman to send all his sons to be fed at his court.’’ This parable made the saint happy, and he promptly reported this holy message to the pope. In fact, the Gospel of Mark (4:34) states that Jesus ‘did not speak to them without a parable.’ Parable was a new method of teaching that Jesus chose to use. Parables and stories teach a natural wisdom of morality, of healing, of compassion, of values and ethics. Jesus wanted to imprint a picture on our minds that would touch us with a lasting impression in the deepest part of our spirit. Jesus wanted us to get the picture, the bigger picture. Stories, parables, fables, anecdotes and illustrations are thrown alongside the biblical word to help us to see the ‘bigger picture’ in life. They help us to understand there is more to life than our own limited and narrow spheres of experience. They create pictures in our minds and enlighten our imagination to comprehend a greater dimension of life than we normally are used to experiencing. That is what Jesus tried to accomplish with his disciples and with the crowds that flocked to hear him speak: to take them to a place where there is new way of living, loving and healing; a new world that these people never could have imagined on their own. Such is the task for those who minister the Word to God’s people—to open people’s imagination toward the things of heaven. By sprinkling illustrations…throughout your presentation, you will grab the imagination of your listeners in a way that films or television are hard pressed to duplicate. Never forget that as a communicator you are appealing to the most powerful image-producing mechanism on earth…the human mind. It thrives on images. Good stories are a triggers that release an explosive, powerful, positive form of communication energy. This is wise advice for each of us who minister God’s word. As catechists, teachers and preachers, we want to make a point and to fix that point in our listener’s minds for them to remember our message by. To assist in this, a good collection of stories, anecdotes and illustrations is an attractive and valuable resource. Stories and parables ring true to human life with fresh insights into truths that are taught by the catechist or repeated from the pulpit. These truths can become so familiar and well known that people no longer hear them. The creative use of the imagination, as it were, ‘dresses up’ these truths through storytelling in new garments so that we take notice of them and a moral or spiritual truth can be extracted. ‘Truth replied, "I am in a bad situation. I am old, very old, and no one cares to have anything to do with me." In my own preaching experience, I discovered this same principle. People, by and large, do not hear, pay attention to or seek the naked truth. However, when the same message is ‘dressed up’ in the garments of a story, of a parable, they not only listen, but take the message home with them. For me, beginning to tell stories was not really a conscious decision. It emerged from within me as natural as could be for a priest of Irish descent—as if there is some storytelling gene. This is not to say that I have not spent considerable time researching storytelling as an art form or that stories just pop up easily. For over 25 years, I have collected numerous volumes of storytelling books, and have hand-written enough stories, so far, to fill twelve composition books, and also have filled thirty-eight journals with quotations. The difficult part for me, however, when I am asked about the how’s and why’s of storytelling, is trying to describe my approach to using storytelling within ministry of the Word. Two of the biggest obstacles, I think, in moving from simply telling a story to becoming a storyteller are risk and fear. Yes, it is a risk to get into a story so that it becomes real or somehow rings true to human life, with all the nuances of voice inflections, posture and facial expressions that emerge from the story. Marshall McLuhan once said so well: ‘The medium is the message.’ As storytellers in ministry of the Word we are the medium through which the biblical message is communicated. Communications experts tell us that 7% of communication occurs through the words used, 38% through the way the words and the voice are used, while 55% of communication occurs through non-verbal body language. Indeed, the medium is the message. Are you afraid people will laugh at you? Or, maybe, is it that they are laughing with you, within the setting of the story? This was a big hurdle for me when I first began the preaching ministry. I was so concerned about what the congregation thought that I hesitated to take many risks and venture into ‘deep’ waters. I was suffering from what could have been called ‘paralysis of perfectionism.’ If one takes no risks then one cannot fail, but, alas, neither can one succeed. Face your own obstacles; take the necessary risks to overcome your own fears. If you haven’t heard it already, fear can be understood as an acronym: False Expectations Appearing Real. What changed my preaching style actually changed my future ministry as well. What began as personal, journal-writing therapy, collecting positive quotations and stories quickly assumed a new perspective when I took what was then a big risk and shared some stories and quotations from my journals in my preaching. People would come up and ask for a copy of this quotation or that story. It amazed me! These were my ‘personal’ stories and quotes, and other people found them helpful too! Gradually I took more risks and told more stories; now people seem to expect me always to come up with a good story. A bonus to storytelling ministry, from my experience, is that people tend to listen more attentively and enter into the story with the catechist, teacher or preacher, enabling him or her to make the connection with the biblical word, the stories of their lives and the kingdom of God. Ministry of the Word, be it catechetics, teaching or preaching, seeks to invite people to faith…to make a connection of the Word with their own life…to open people’s imagination to picture a new way of living, of loving, of healing. Our task, then, is to involve people in a personal way to find a key to their own stories of faith and struggle. In fact, God is continually sending us stories, illustrations and modern-day parables, so many that it is a wonder that we miss seeing this. 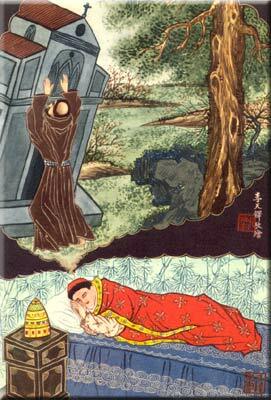 Remember St. Francis’ admonition to ‘first secretly draw in by prayer, to grow warm on the inside’. We have to learn to listen to our own inner voice that nudges us to take notice; then take the next step and write the story or illustration into our own collection. In this way we develop our own collection of resources, our own exempla, from which we can invite people to faith and open their imagination toward the things of heaven. ‘I began to choose only those stories that have that mysterious, archetypal quality that speaks to something profound within us, some deep desire of the human heart. So the first resource is so obvious that most people miss it—observation. Life abounds with delightful stories, anecdotes and modern-day parables if only we pick up on them. They are in the people we meet, in the newspapers we read, in the television programmes we watch. Yes, indeed, we can learn a lot by observing life. This is more than just casual observing. It is what Jesus spoke about when He asked us ‘to see, not just look; to listen, not just hear’. It is attentiveness, alertness to life, seeking to see the hand of God in events, searching actively for the significance of what is taking place around us. In the Gospel of Mark, Jesus tells the parable, ‘A man scatters seed on the ground. He goes to bed and gets up day after day. Through it all the seed sprouts and grows without his knowing how it happens’ (see 4:26-29). Storytelling in catechesis and ministry of the Word is like the scattering of seeds. The stories contain within themselves a dynamic life-force that is capable of sprouting, growing and bearing fruit in the lives of the listener’s without the storyteller knowing how it happens. Therefore, it is the primary task of a storyteller simply to keep telling the stories, just like the farmer who scatters the seed. There is a delightful story by Jean Giono that illustrates how being faithful to the scattering of seeds in storytelling ministry can bring forth an abundance. Then, suddenly, the young traveler stopped dead in his tracks. In the middle of this vast wasteland was a bent-over old man. On his back was a sack of acorns. In his hand was a four-foot length of iron pipe. Twenty-five years later the now not-as-young traveler returned to the same desolate area. What he saw amazed him. He could not believe his eyes. The land was covered with a beautiful forest two miles wide and five miles long. Birds were singing, animals were playing, and wildflowers perfumed the air. All because someone was faithful to sowing the seeds. Storytelling can plants seeds of faith and hope in people’s lives that will take root and grow in abundance. If you are faithful to sowing the seeds of God’s Word, the empty wastelands of desolation and despair can be transformed. And so, let me encourage you to use stories, parables, fables, anecdotes and illustrations. You will find that people will begin to get the bigger picture as you help them envision the kingdom of God; to imagine a new way of living, loving and healing. They will enter into the story with you and take something home with them. 1. Francis of Assisi: Early Documents, Vol. II, The Founder. Thomas Celano, ‘The Remembrance of the Desire of a Soul: The Second Book,’ NY, NY: New City Press, 2000, p. 352, §163. 2. Celano, ‘The Second Book.’ p. 318, §107. 3. Celano, ‘The First Book.’ p. 254-256, § 16. 4. Janet Litherland, Storytelling from the Bible. Colorado Springs, CO: Meriwether, 1991, p. 3. 5. Brian Cavanaugh, TOR’s personal journals, source unknown. 6. Joseph Griffith, Speaker’s Library of Business Stories, Anecdotes and Humor. NY, NY: Prentice Hall, 2000. p. ix-xi. 7. Brian Cavanaugh, TOR, The Sower’s Seeds: 120 Inspiring Stories for Preaching, Teaching & Public Speaking, Revised & Expanded. Mahwah, NJ: Paulist Press, 2004, p. 74. 8. Anne Pellowski, The World of Storytelling. NY, NY: H.W. Wilson Co., 1990, p. 57. 9. William R. White, Speaking in Stories. Minneapolis: Augsburg Press, 1982, p. 24. 10. Murray Bodo, OFM, Tales of St. Francis: Ancient Stories for Contemporary Living. NY, NY: Doubleday, 1998, p. 12-14. 11. Cavanaugh, The Sower’s Seeds. p. 7. 12. Cavanaugh, The Sower’s Seeds. p. 1.